This work examines the Israeli National Informatics - Computer Science (CS) Olympiad from the perspective of diversity. A conspicuous phenomena in this olympiad (as well as in other science olympiads) is that very few females participate in the national competition, and none has ever represented the country in any international competition. When examining this phenomenon more closely, but with a broader view, it seems that while the level of external diversity (which addresses characteristics such as gender and race) is quite low also with respect to additional aspects, it does increase with respect to internal traits (such as ways of thinking). Furthermore, alongside the low external diversity among the participants, there are many common features among those who influence students' participation in the competition. The paper outlines the background of the research, the research setting, and, as mentioned above, examines its findings from the perspective of diversity. Sagy, O. & Hazzan, O. (2007). Diversity in Excellence Fostering Programs: The Case of the Informatics Olympiad. 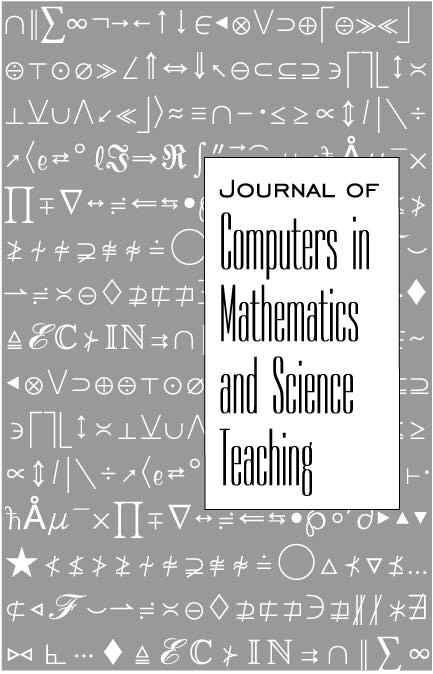 Journal of Computers in Mathematics and Science Teaching, 26 (3), 233-253. Waynesville, NC USA: Association for the Advancement of Computing in Education (AACE). Retrieved April 22, 2019 from https://www.learntechlib.org/primary/p/23520/. Bowerman, C.E. (1953). Assortative mating by previous marital status: Seattle, 1939-1946. American Sociological Review, 18(2), 170-177. Brown, P., & Scase, R. (1994). Higher education& Corporate realities. London: UCL Press. Eidelman, L. (2005). Gender and sector-based analysis of Israeli high school computer science studies. Unpublished master’s thesis, The Technion—Israel Institute of Technology, Haifa, Israel. Feng, A.X., Campbell, J.R., & Verna, M. (2002). Understanding gender inequity in America: Interviews with academic olympians. Journal of Research in Education, 12(1), 93-100. Hennessey, B.A. (2002). The social psychology of creativity in the schools. Research in the Schools, 9, 23-33. Hennessey, B.A., & Zbikowski, S.M. (1993). Immunizing children against the negative effects of reward: A further examination of intrinsic motivation training techniques. Creativity Research Journal, 6, 297-307. Multon, K.D., Brown, S.D., & Lent, R.W. (1991). Relation of self-efﬁ cacy beliefs to academic outcomes: A meta-analytic investigation. Journal of Counseling Psychology, 38, 30-38. Redmond, M.A. (2001). A computer program to aid assignment of student project groups. ACM SIGCSE Bulletin, 33(1), 134–138. Siegle D., & ReisS. M. (1998). Gender differences in teacher and student perceptions of gifted students‘ ability and effort. Gifted Child Quarterly, 42(1), 39-47. Somers, L., & Callan, S. (1999). An examination of science and mathematics competitions for the national science foundation. Retrieved April 4, 2007, from http://www.wmich.edu/evalctr/competitions.pdf Tannenbaum, A.J. (1983). Gifted children: Psychological perspectives. New York: Macmillan.